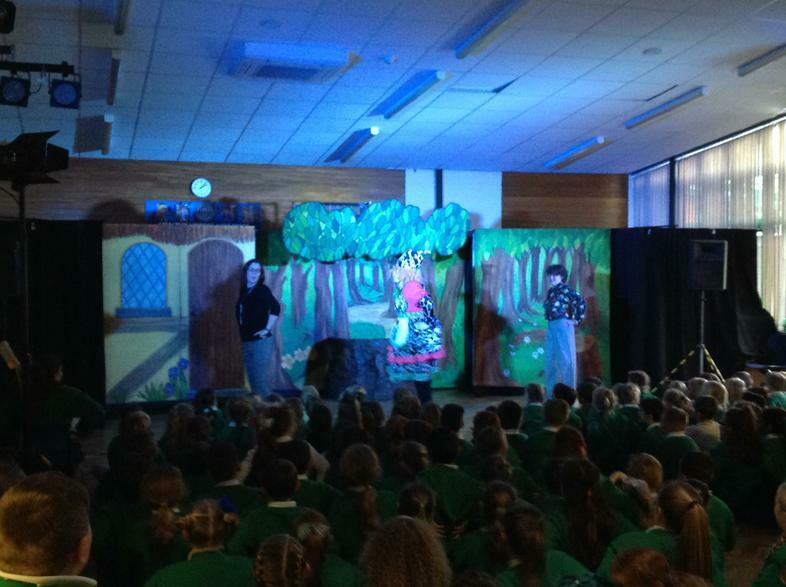 Today, all of the children were treated to a production of Jack and The Beanstalk by M&M Productions. 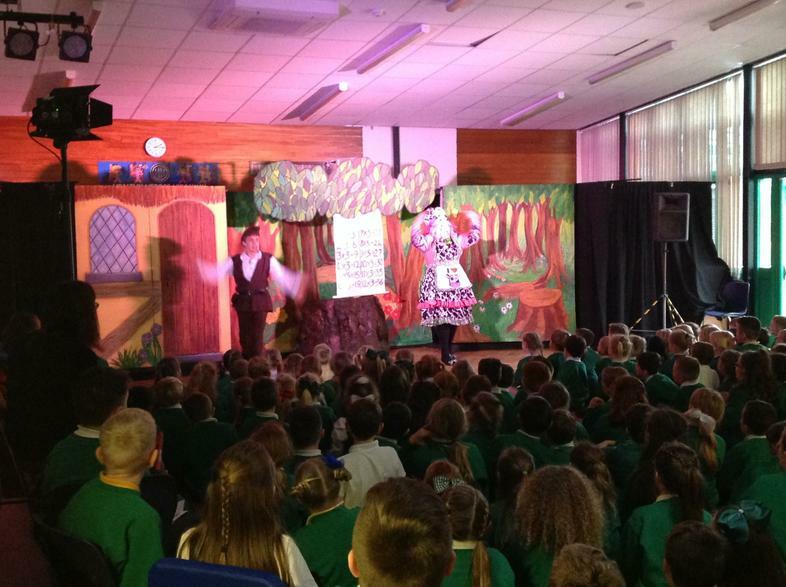 The whole school from nursery to year 6 gathered in the hall and were entertained with a fantastic classical panto with a few modern twists and songs included. 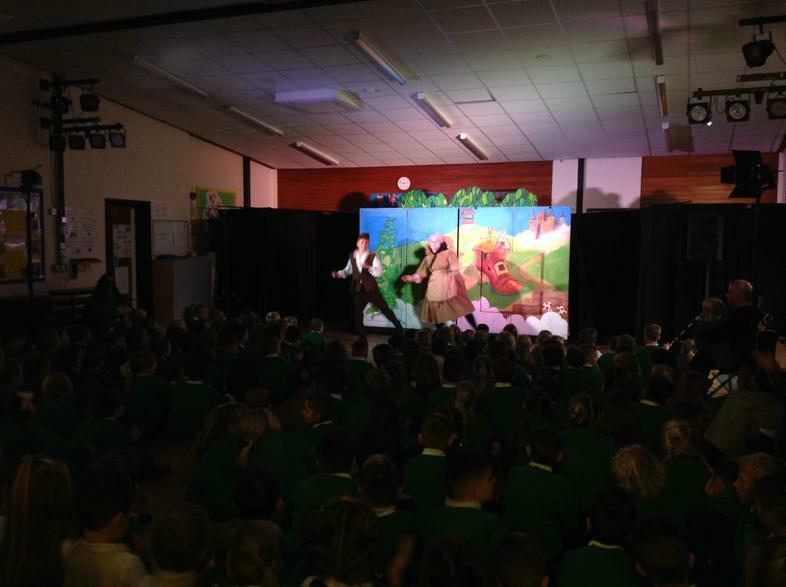 Mrs Swift and Mrs Coyle were asked to join the production team on stage in a montage of songs such as Baby Shark and YMCA! 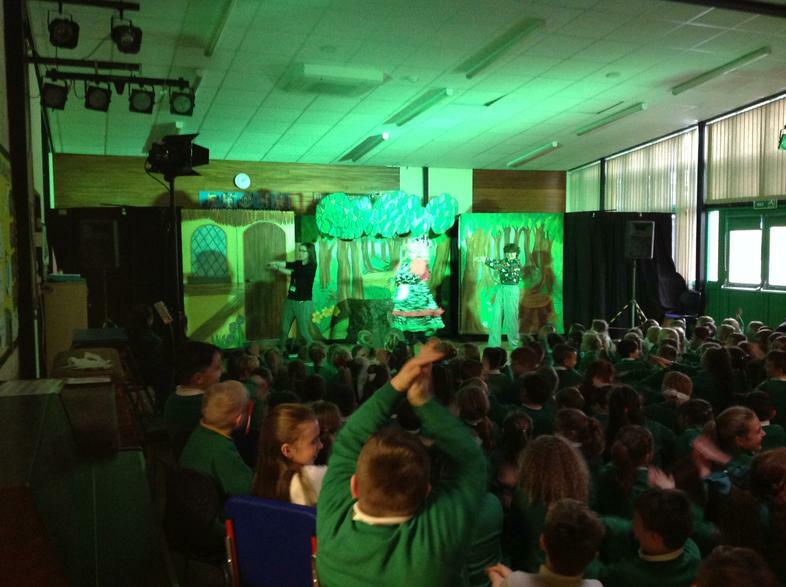 Aleigha "We all really enjoyed it"
Buddy "I liked the acting"
Finlay "I enjoyed the silly dancing to Baby Shark"
The theatrical staff from M&M Productions commented to Miss Smith that the all of the children were lovely and polite. Particular thanks went to the Year 6 children who offered to help them clear away their props.